one of the inorganic or mineral colorants....Prussian blue is a vibrant blue with a slight undertone of green. 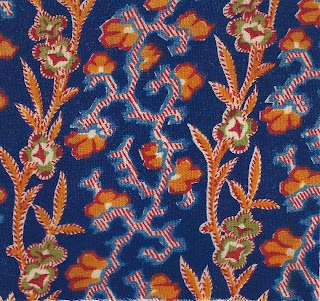 Alsatian printer Jean-Michel Haussmann developed methods of fixing Prussian blue accents to cotton cloth late in the 18th century. 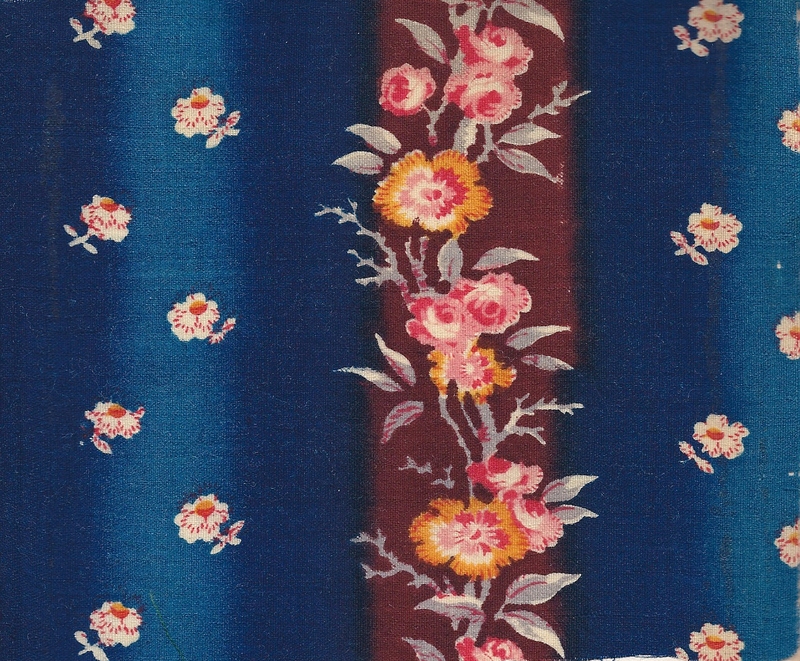 Early in the 1800s a new printing technique produced rich colors with mineral dyes. 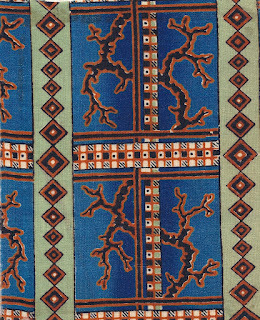 Prussian blue was especially popular in European and American textiles during the 1830s and seen in quilts through the 1860s. 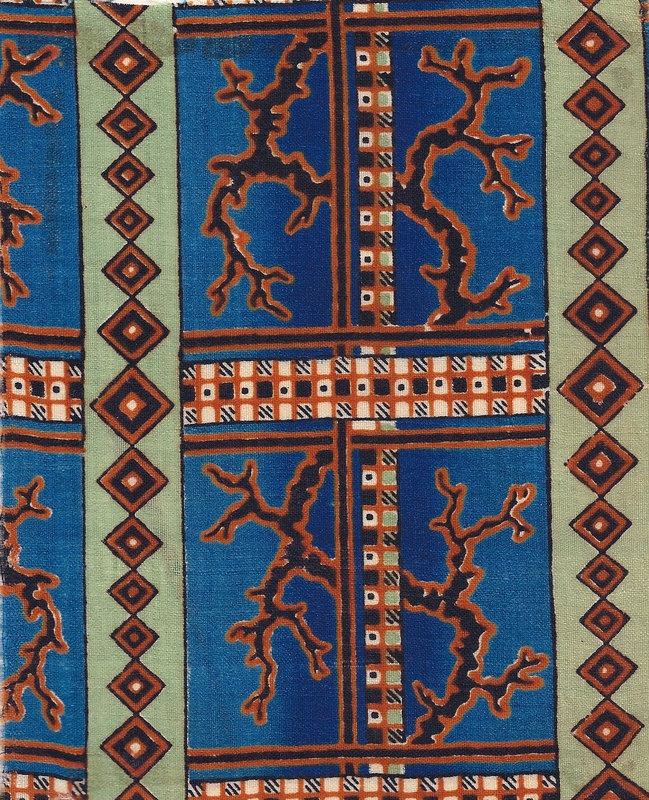 The designs vary from geometrics and ombres to florals. Examples are from my Delaines sample book. Those are wonderful. I love Prussian blue fabrics and buy every one I find. Do you plan to reproduce these? Prussian blues are wonderful prints! I did a line called Delaines from my book. Alas, my current printer, Newcastle Fabrics, has another designer working on a P Blue line.